The government of Kathy Dunderdale 2011-2014, continued to be a public supporter of university education in the province. In her 2011 election campaign, she promised to continue the tuition freeze, which the government successfully continued. 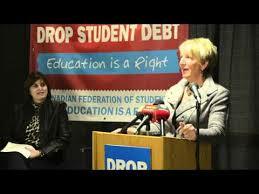 The Progressive Conservative Party 2011 blue book promised that debt reduction grants would be available, that up front student grants would increase, and that the provincial student loan program would completely change to a fully funded grants systems. In 2012, Premier Dunderdale made an appearance at the national day of action at Memorial University. Here, the premier committed her government to maintain the tuition frozen, as well as expressed the hope that everyone’s first degree would be paid for by the province. 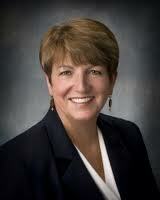 Degree programs have yet to be fully funded by the province. In 2014, under the Marshall government, the provincial government invested $50.6 million to implement up front grants and to eliminate the provincial student loan program, as well as $5.1 million to continue the tuition freeze that year. The beginning of the up front grant program and the complete elimination of the provincial student loan program is scheduled to start in Fall 2015.